Yes, it’s best to sleep in total darkness, but nobody is going to judge you if you need a little overnight light in (or near) your bedroom. Whether you’re worried about stubbing your toe on the way to the bathroom, getting into bed without disturbing your already-sleeping partner, or legitimately afraid of the dark, there are plenty of perfectly good reasons to have a night light. But because we know that too much light, or the wrong kind of light, can negatively affect your sleep and your body’s ability to produce melatonin, it’s important to get the right nigh tlight. With so many options to choose from, it can be hard to narrow the field. We’re doing some of the work for you, below, with our picks for some of the best night night lights for your needs. 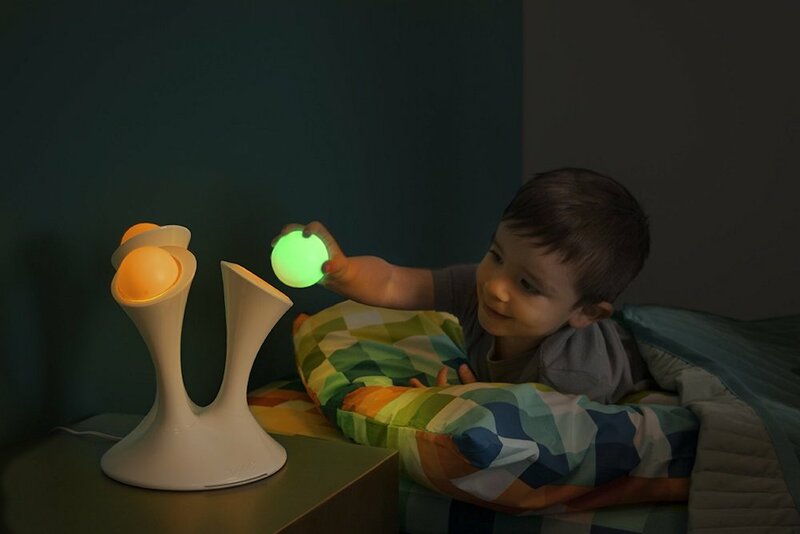 Best night light for kids: Boon Glo Night Light. Looking for more info? Read on to see why each of these night lights landed in our top picks list! Many night lights are designed with kids in mind, but we chose this one in part because its modern design makes it something your child doesn’t have to grow out of. The funky, sculptural light can be programmed to shine in a number of colors, and the removable GLO balls emit a gentle green light for up to 30 minutes if they’re removed from the base, while still remaining cool to the touch—perfect for reading under the covers or a late-night bathroom break. Best night light for infants/babies: Project Nursery Lion Sound Machine with Nightlight. 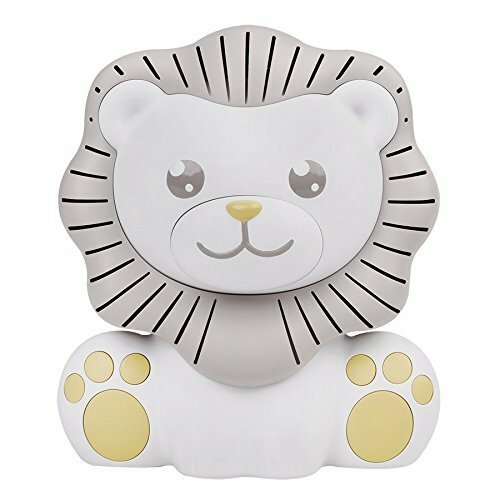 This adorable lion can sit on any flat surface in your baby’s room and is powered by four AAA batteries or an included A/C adapter. The leonine night light provides enough illumination for a late-night diaper change or check-in, and its mane functions as a speaker, through which a selection of songs or gentle white noise can be played. Controls are hidden on the back of the light for a more aesthetically pleasing appearance (and to make it harder for little hands to inadvertently change any settings), and include a sleep timer that can be set for 15, 30, 45, or 60 minutes. Best night light for seniors: Mr. Beams MB723 Stick-Anywhere Night Light. 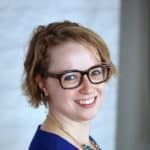 It can be dangerous for anyone to walk around in the dark, but age-related vision and mobility problems make it especially hazardous to seniors. Light is a safety issue, but turning all the lights on for a trip to the bathroom or kitchen isn’t ideal. These AA battery-powered, low-profile LED lights can adhere to almost any flat surface and turn on only when they detect motion. Put them on stairs, along your hallway, and on bump-outs or odd corners to help avoid stubbed toes and dangerous falls. 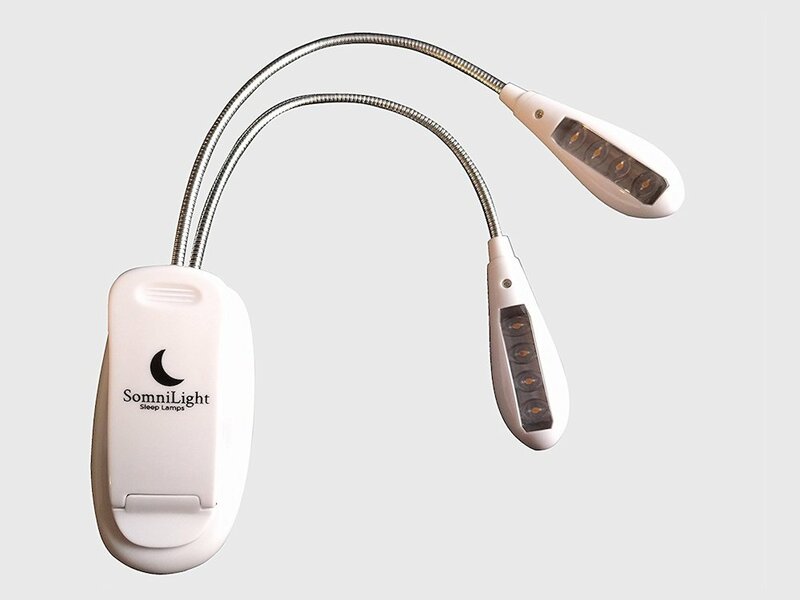 Best night light for for reading: SomniLight Rechargeable Amber Book Light. If you’ve ever noticed that reading before bed sometimes makes you feel more awake, it could be because of the light you’re using to read by. Many lamps and book lights feature bright bluish-white bulbs, presumably to provide as much light as possible. But that kind of light can also negatively affect your sleep cycle. This orange-hued, double-armed, clip-on lamp will illuminate your book (or unlit e-reader) but won’t confuse your melatonin production. You might find you’re reading fewer pages, but sleeping better, as a result. 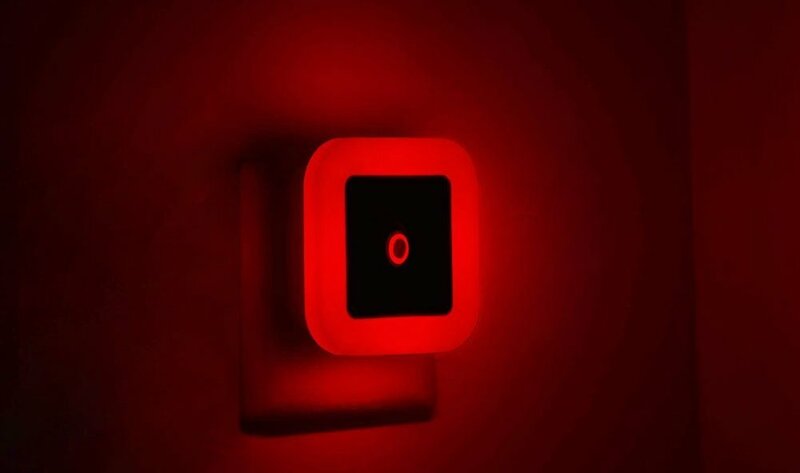 Best night light for hallways: iAvo Soft Red Glow LED Night Light. It’s late. You’ve plugged your phone in downstairs and you’re doing your best to avoid bright lights so that you can ease yourself to sleep. But you still have to get to your bedroom without tripping up the stairs or stumbling over the dog. These low-profile plug-in lights will guide you to your room with a gentle red glow that won’t stimulate your brain into a state of wakefulness, so you can fall asleep faster. Best night light with auto shut-off: GRDE Wall Mount Charger with Dusk to Dawn Sensor LED Night Light. One of the biggest problems with night lights is that they usually require an outlet that might be needed for something else. 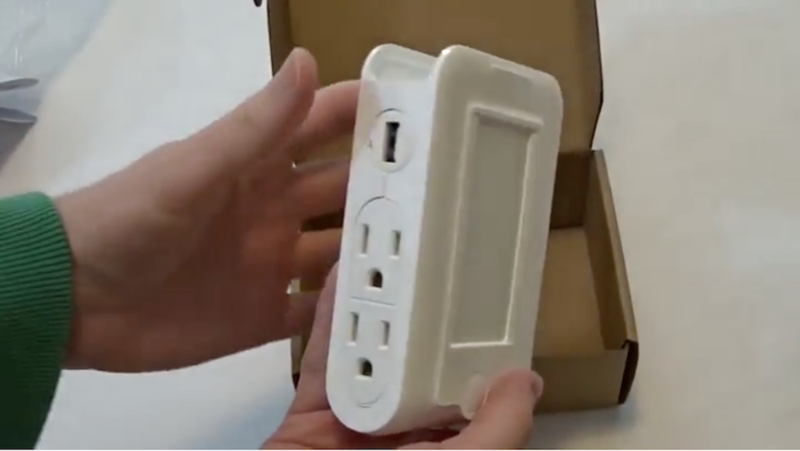 The GRDE Wall Mount Charger features two AC power outlets and one USB port on each side, plus the slot at the top gives you somewhere to prop your phone while it’s plugged in. Even better: the light’s dusk-to-dawn sensor means that the light turns off when the sun comes up (or other lights in a room are turned on), so you’ll never have to worry about remembering to shut it off in the morning. 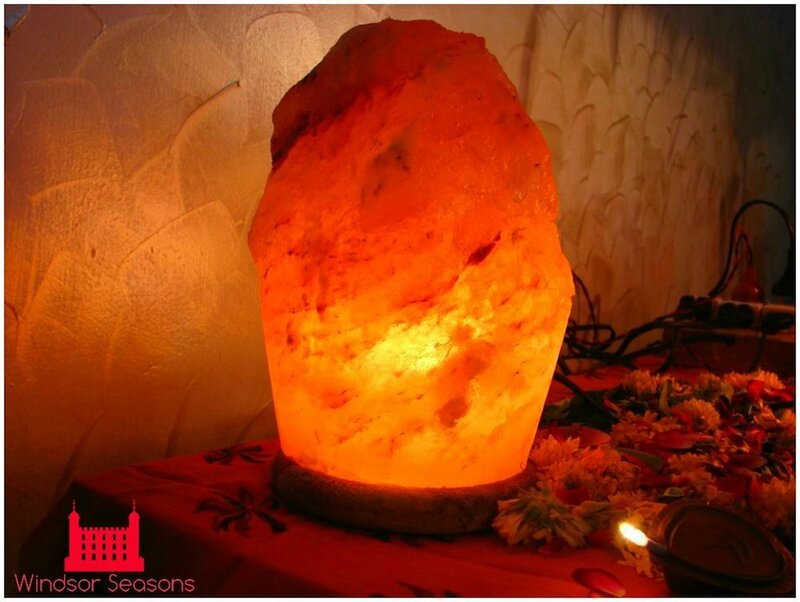 Best night light for bedroom: Windsor Seasons Hand Crafted Natural Crystal Himalayan Salt Lamp with Neem Wood Base. Best night light for nursing: Born Free Nighty Night Nursing Light. Of all of the wonderful and amazing things about babies, perhaps the most wonderful and amazing of all is that they can eat and sleep at the same time. But parents need to make sure all is well, and turning on the lights to ensure their babies have properly latched might wake the little one to the point that now nobody’s going to get any sleep. This palm-sized light is bright enough for you to see, but not wake, your baby and clips on to you so you can keep both hands free. As a bonus, the Nighty Night Nursing Light has a built-in, vibration-based alarm so you can track feeding time (or wake yourself up if you happened to fall asleep nursing). 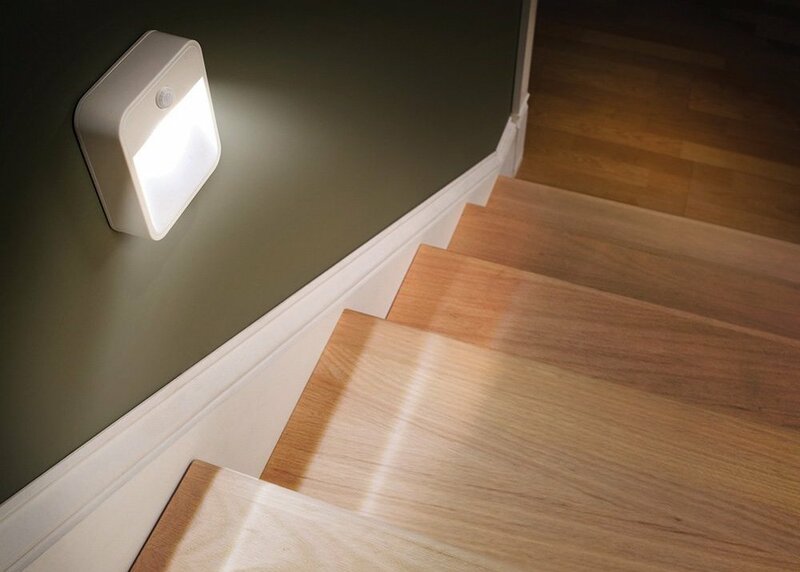 Best motion-sensitive night light: AmerTac 73092CC LED Motion-Activated Nite Lite. Night lights can be ugly, but AmerTac’s motion-sensitive light has a sleek decorative look to it that won’t stand out (or stand too far away from the wall), regardless of your decor. With over 1200 five-star reviews on Amazon, this popular plug-in turns on when it detects motion up to 25 feet away, and turns off after a minute, meaning it’s only on when you need it—and the long-lasting LED bulb means you’ll never have to worry that the light will fail you. 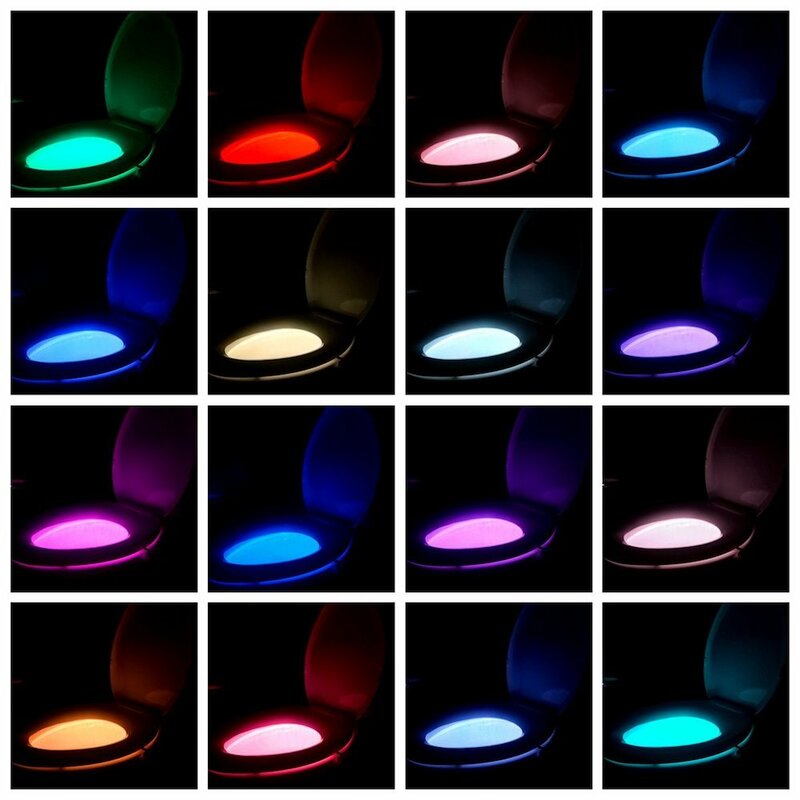 Best night light for bathrooms: Witshine Rechargeable 16-Color Toilet Night Light. You might be able to get to the bathroom in the dark, but once you’re in there, can you do what you need to do without turning on the lights? Witshine’s rechargeable and waterproof night light shines in 16 colors and illuminates the most important part of your bathroom for these late-night trips: the toilet. Aim confidently without waking yourself up too much with the bright bathroom lights. Best night light for potty training: Claessens’ Kids Kid’sleep My Lantern Portable Night Light. 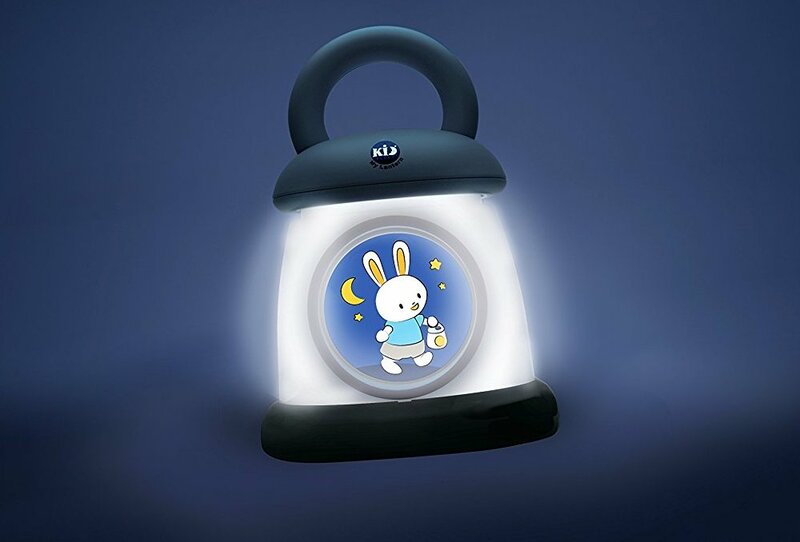 This bunny-bedecked bedside light glows in multiple colors and can play soothing sounds to lull your toddler to sleep. But even more importantly, the light can be easily detached from the base and used as a lantern to guide your little one to the bathroom in confidence, without any reason to be afraid of the dark (or wake mom and dad). Who’s afraid of the dark? 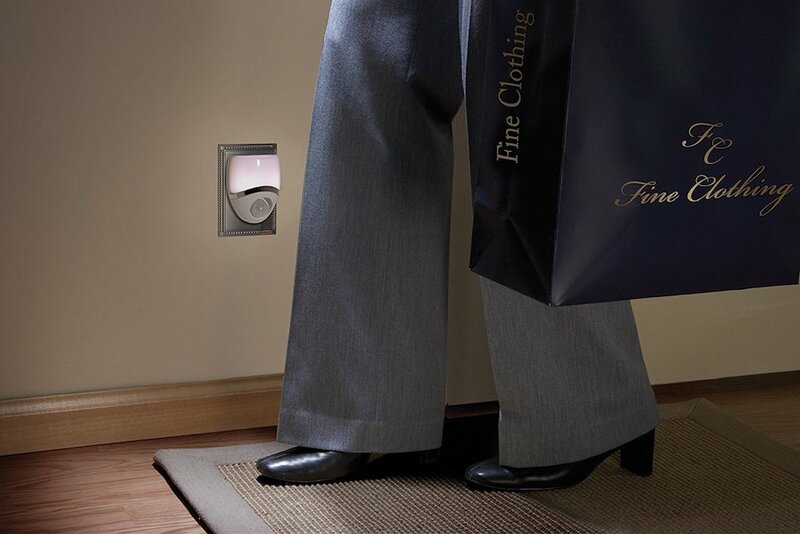 Definitely not you, with one of these useful night lights. Pick the one that best suits your needs and say goodbye to stubbed toes and night terrors for good.